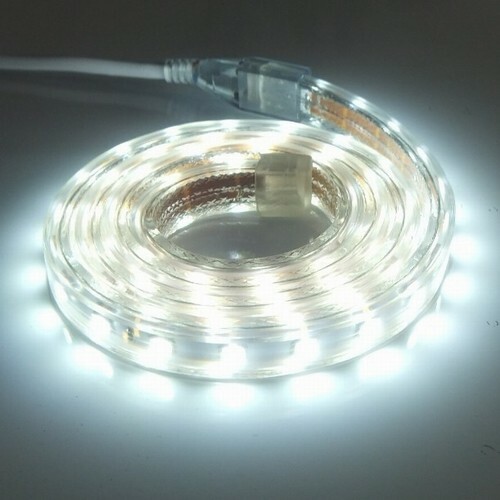 WATERPROOF FLEXIBLLE LED STRIP manufacturers,WATERPROOF FLEXIBLLE LED STRIP exporters,WATERPROOF FLEXIBLLE LED STRIP suppliers,WATERPROOF FLEXIBLLE LED STRIP OEM service. 3528 or 5050 led as light source. Waterproof or non-waterproof are both availble. 1. Every 3LEDs can be cut at marked intervals and can be rejoined. The normal packing is 5meters/reel. 3. 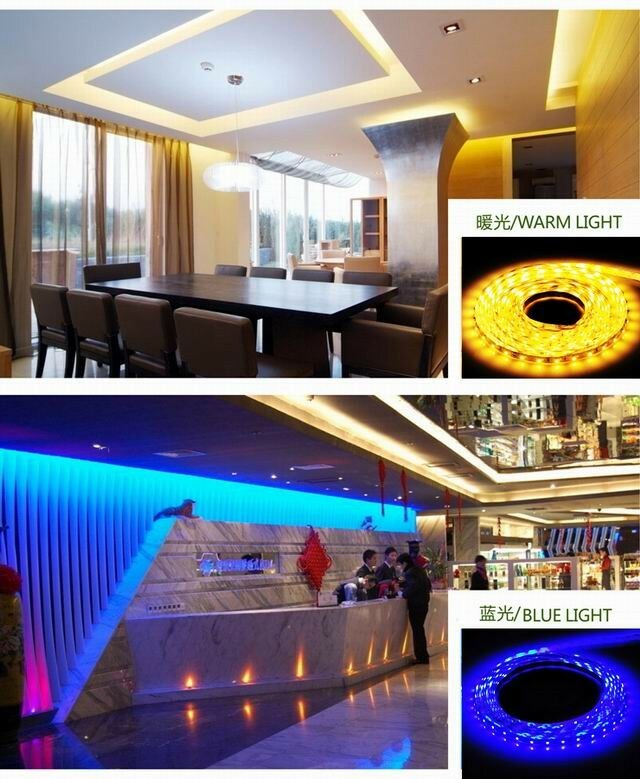 Colors: Red, yellow, blue, green, white, warm white and RGB color are both available. 5. 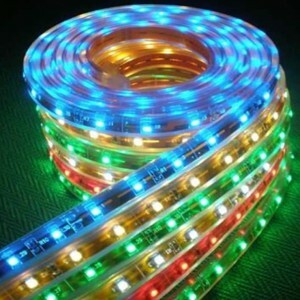 The Flexible Strips have a 120 wide-angle beam that ensures they light evenly and do not cast shadows on surfaces and boasts a desirable seamless glow. 6. Easy installation. 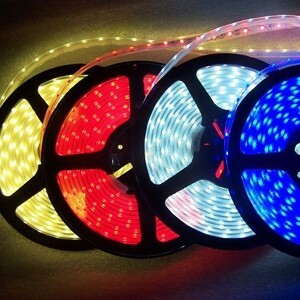 This LED tape comes with a 3M adhesive backing which allows easy mounting virtually anywhere. Because they can be cut, they fit well into installations and are perfect for use in display cases.